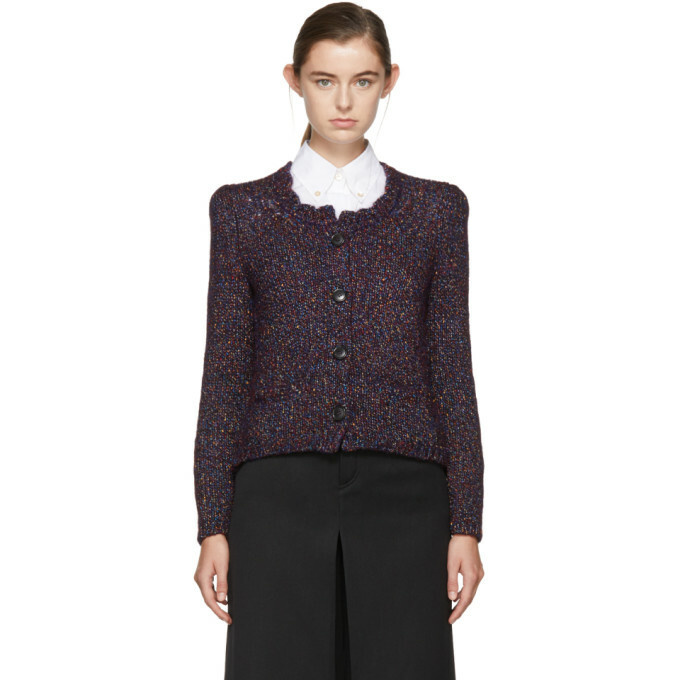 Isabel Marant Purple Abon Cardigan $217.00 Long sleeve wool blend cardigan in dark purple featuring multicolor metallic thread knit throughout. Rib knit crewneck collar, cuffs, and hem. Button closure at front. Welt pockets at waist. Tonal stitching.